This summer's Labour leadership election was one of the most dramatic events of the political year. Although the Labour Party went into the 2015 election, and ended up with its worst ballot box result since the 1990s, there was a refreshing feeling about the process to choose Labour's new leader. Momentum is a product of this battle of ideas, which culminated in Islington MP Jeremy Corbyn winning outright, by amost 60%, back in September. It's an organisation, that evolved from the campaign to get him elected leader. Today, let's take a closer look at the shiny new group, supporting Labour's newest leader. Momentum pretty much started life as Jeremy Corbyn's leadership campaign team. 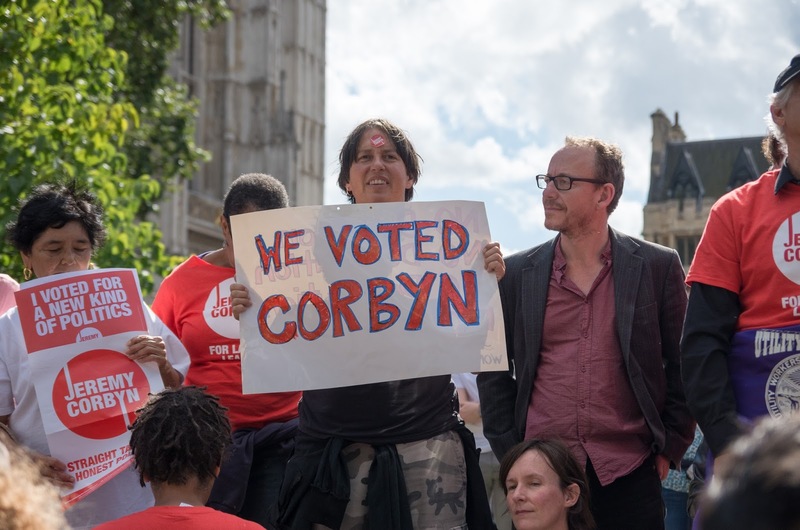 Mr Corbyn's significant majority amongst Labour members was a once-in-a-lifetime result, and his party supporters don't intend to squander it. Momentum is believed to have as many as 60,000 members at present. The Labour Party claims to have about 380,000 members. It sounds big, but it's a far cry from the heyday of political party membership in general. Membership of the Labour Party peaked at over 1m in the early 1950s. The straight-to-grassroots approach essentially circumvents the sitting Labour MPs (otherwise known as the Parliamentary Labour Party or PLP). Momentum believes the PLP no longer reflects the Labour Party. Members of the PLP fear that Momentum is not working in the interests of the party as a whole. The Prime Minister is expected to call a vote on bombing ISIL in Syria, in Parliament next week. Momentum's Twitter page has told Labour voters to lobby Labour MPs to vote in line with Jeremy Corbyn. Whatever happens after the vote will demonstrate how strong or weak the Momentum group actually is. Is it some political Charybdis, capable of engulfing all its naysayers, or will the PLP risk it? Will the PLP have the last laugh, by voting overwhelmingly in favour of strikes? If Mr Corbyn is going to make the gargantuan leap from Labour leader to future Prime Minister, he has to not only win over his party faithful; he needs to make the country fall for Corbynmania too. Otherwise, Labour will face a drubbing worse than the party's 1983 nadir, under leader Michael Foot. The latest ComRes poll indicates Labour has dropped to 27%, its worst showing since Labour's traumatic ousting in May 2010. The Tories remain stable at 42%, and the limping Lib Dems are stagnating, at a measly 7%. It's starting to look like Mr Farron's first few months as Lib Dem leader has failed to produce a sizable bump in the polls. There is a genuine possibility that Labour could split again, if relations with the PLP grow increasingly sour. Momentum might argue it represents the true socialist elements of the Labour Party, and that the PLP is an out-of-touch centrist blob. The PLP would insist that it represents a more progressive, modern-thinking part of the Labour movement. It is unlikely there'll be an actual split though. If the Lib Dems languish under 10% for the time being, dissatisfied PLP members would probably rather grin and bear a few years under Mr Corbyn, than attempt to create a new social democrat party.